Santa will be on the south side of Kiefer on Monday, and the north side on Tuesday, with the parade beginning at 6:00pm each evening. The actual parade routes are shown on the maps below. 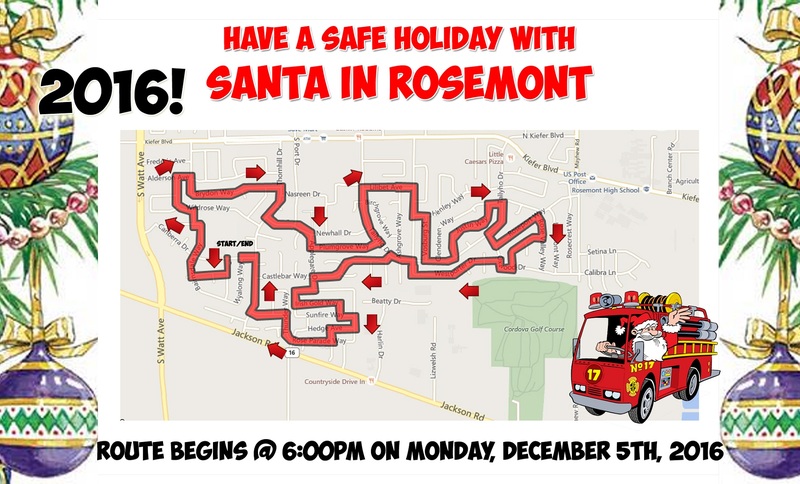 If you are not near the route, we encourage you to gather with neighbors along the route or at Rosemont Community Park on Americana Drive on Tuesday about 7:00pm, where Santa will visit and pick up donated toys. Click on the images below for a detailed map of Santa’s route for Monday December 5th and Tuesday 6th. 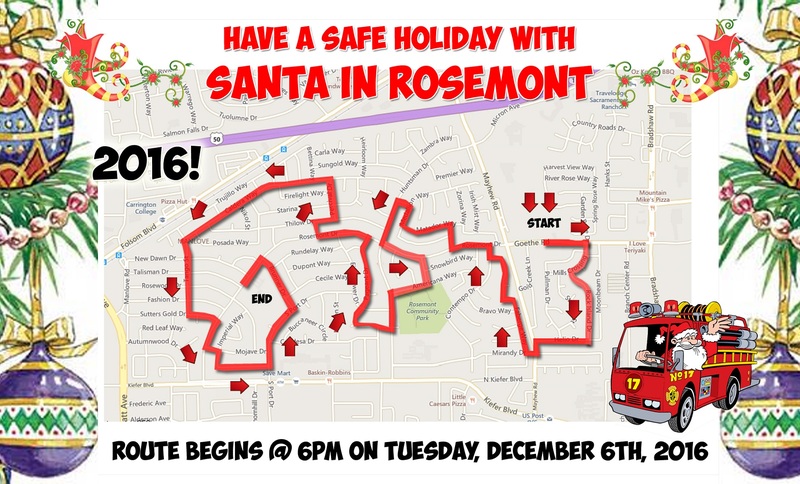 One comment to Santa is Coming to Rosemont! 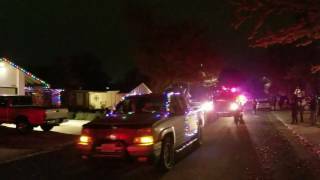 Did you get out and see the Santa Parade? It was so much fun. Thank you to everyone that stepped up to make this possible. Merry Christmas Rosemont.